Any school is only as good as its teachers. At CPPHS, we are very selective when choosing the men and women who comprise our teaching staff. Their excitement for teaching excites our children for learning. Every teacher lives and breathes what he or she teaches. They are trained to use our multi-sensory curriculum, designed to connect with your child at his/her most comfortable learning method. We are enthusiastic about the beautiful lessons that Judaism has to offer, and we hope to transmit that excitement to the children through the Hebrew School curriculum. All lessons will be taught in a manner that will give the children a great appreciation of our rich Jewish heritage. Role-playing, arts & crafts, and songs will be incorporated to make the lessons more enjoyable. We plan special programs during the year, such as: Shofar Factory, Chanukah Wonderland, Purim Fun, Passover Experience, Model Seder, Matzah Bakery, and Shabbat Experience. We also feature ongoing activities throughout the year, such as Jewish Game Shows, Kosher label contest, and TGI-Shabbat to develop and maintain strong participation and enthusiasm from our students. 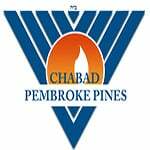 We believe that the joy and pride in Judaism that will be experienced at Chabad of Pembroke Pines Hebrew School will make an indelible impression upon the children. Our Hebrew reading curriculum is the latest educational breakthrough around. Based on the martial arts motivational philosophy of color-coded levels and testing, it provides excitement and inspiration, leading the students into a winning cycle of learning. The Hebrew Alphabet as well as the vowels and word formations are divided into 10 colored levels. The students start out as “White Aleph Champs,” working their way up the colors of the rainbow to be a “Black Aleph Champ” like their teachers. 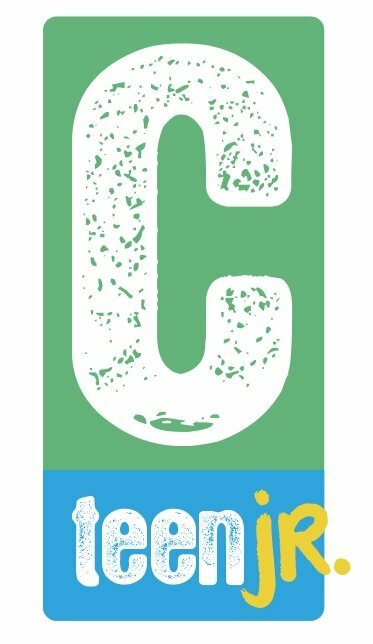 Games, cards, logs and rewards make every step along this remarkable journey a fun an educational success. 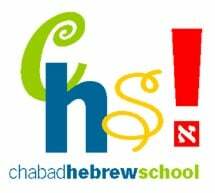 Hebrew vocabulary is also a basic part of the program - students will learn Hebrew words related to Jewish themes. Children will be taught the meaning of Mitzvot - Torah commandments - and will be encouraged to enjoy the experience of doing mitzvot. Some mitzvot emphasized are Tzedaka, loving one another, kindness to living creatures, hospitality, honoring parents, mezuzah, and brachot (blessings). The teachers will help each child develop a consciousness of proper Torah behavior towards others - Midot Tovot - which is the acquisition of desirable character traits. Children will learn to appreciate the special quality and holiness of Shabbat and Holidays. They will become familiar with the historical background, customs, and observances of each festival through multi-sensory, hands-on activities and creative art projects. Children will start to learn simple, basic prayers and blessings. Special focus will be put on understanding the prayers the children are saying. As they progress, they will learn more prayers and the appropriate time to say them. Children will learn to view our Avot (patriarchs) and Imahot (matriarchs) and other Jewish heroic figures as role models. They will be taught morals and ethics from people highlighted in the weekly Torah portion. The lessons will be infused with discussions and practical lessons we can derive from our ancestors. The children will learn about the land G‑d gave us. We will start the history from our patriarchs, through the Holy Temples and up to modern day Israel. The children will be instilled with a love and attachment to our Holy Land. They will be exposed to pictures, films, games, projects and songs about the land. Art projects are incorporated into our curriculum to add excitement to the upcoming holidays and Mitzvot. Our projects will have Jewish holiday and Mitzvah themes and will add a taste of Jewish life to your home. The younger students will be doing art more often than the older grades. When your child is ready for Bar/ Bat Mitzvah, Chabad of Pembroke Pines Hebrew School will lay the foundation for a meaningful ceremony. The Rabbi is available for consultation on all aspects of the special day. Your family will have the option of celebration in the warm and traditional atmosphere of Chabad or in the location of your choice. Together, we can ensure that your child’s first taste of their Jewish identity will be enjoyable, fun and most importantly, create memories that will inspire his/her for a lifetime. Be the Champ you are! Aleph Champ method and levels explained. What is the Land of Israel?